Netgear has introduced a number of new products in their business network switch lineup over the last couple of months. The most interesting one is the push towards more cloud-managed switches, and that is bound to please a few IT administrators. Two new 52-port switches are joining the Insight lineup, allowing high-capacity deployments to be easily setup and managed remotely in a seamless manner. 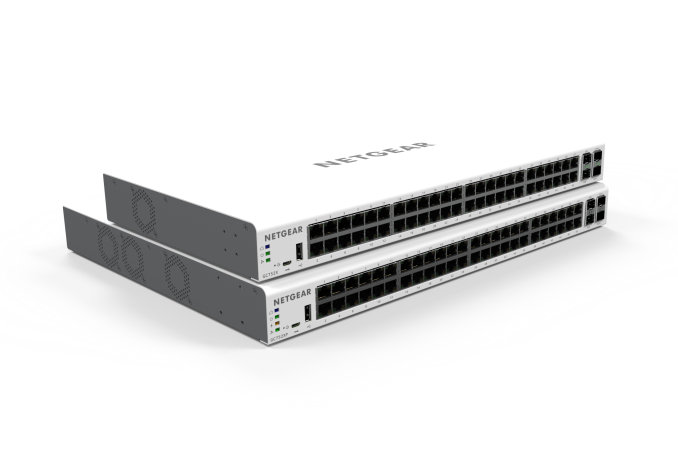 The new GC752X and GC752XP are the first 52-port Gigabit Ethernet Switches with 2 SFP and 2 SFP+ 10G ports with Insight management. The XP variant's BASE-T ports are all PoE+ capable, with a total power budget of 505W. The switches are priced at $420 and $900 respectively. Netgear put particular emphasis on the fact that these switches are fully functional in local mode, unlike some solutions that require an Internet connection for basic functionality. Obviously, remote management does require connectivity to Netgear's cloud backend. Netgear's smart switches support L2+ and L3 Lite switching features (including VLANs, LLDP, port trunking, QoS, per-port PoE controls etc.). 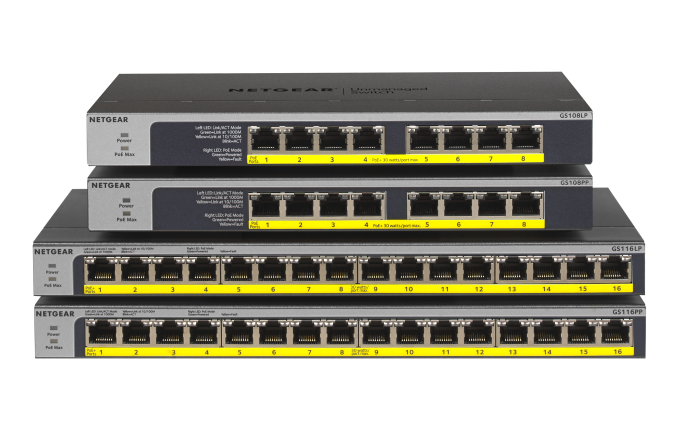 The GC752X and GC752XP expand Netgear's Insight-managed switches count to eight, with port counts ranging from 10 to 52 ports. Netgear is also launching Insight 5.0, an updated version of their cloud management suite for some of their select business and enterprise products. The new features include scheduling of firmware updates (rather than the IT administrator being sent push notifications when a new version is available), two-factor authentication fo added security, and technical support via the Insight app. At launch (back in September 2017), Insight was free to use. It now has three tiers - a free one for up to two devices, and a basic, as well as premium plan that are subscription-based and carry a per-device cost. In other business switches news, Netgear also launched four unmanaged gigabit units - two 8-port and two 16-port ones - with flexible PoE capabilities. The main differentiation here is that the power budget of the switches can be increased by just changing the external power supply after purchase. The GS108LP and GS108LPP are the 8-port versions with PoE budgets of 60W and 123W respectively (the only difference in the hardware being the external power brick). They are priced at $100 and $130 respectively. The 16-port versions (the $180 GS116LP and $220 GS116LPP) have power budgets of 76W and 183W. Depending on the power supply used, the 8-port model can support 60W, 83W, and 120W power budgets, while the 16-port model can support 76W, 115W, and 183W power budgets. All the four models are passively cooled, and support both rack and wall-mounting.